The Progress Report on Towards Responsible Business Ireland’s National Plan on Corporate Social Responsibility 2017-2020 report has just been launched. The report was produced by the Department of Business, Enterprise and Innovation and launched by the Minister for Business, Enterprise and Innovation, Ms Heather Humphreys TD at the inaugural CSR CEO/Leaders’ Breakfast meeting in Iveagh House last week. 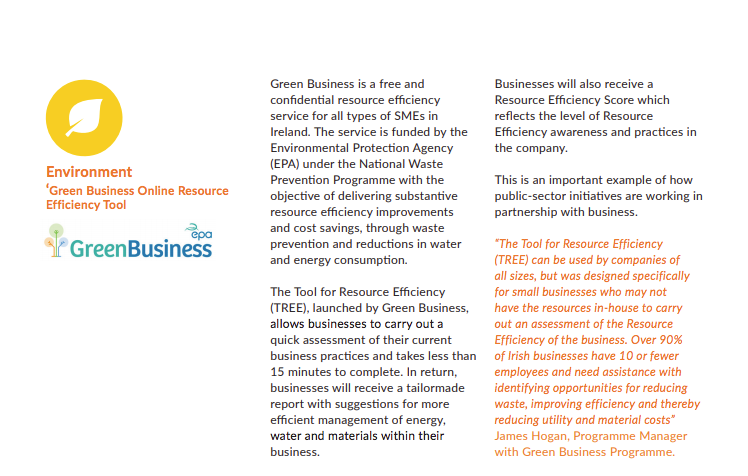 Page 12 features the Green Business Tool for REsource Efficiency (TREE). See below. The post Read CSR Check 2018 appeared first on Green Business.